There are plenty of details to consider when planning your wedding day. After months of preparation, the big day will go by in the blink of an eye. And then it’s time to relax and enjoy a week or two of newlywed bliss. So how do you decide where to go? With soft sand and all-inclusive resorts, beach honeymoons provide an escape from the world into your own private paradise. For the couple looking to unwind and enjoy some time alone, a tropical resort is the perfect option. When choosing a beach destination, consider weather. We recommend avoiding a trip during hurricane season, or choosing a warm, sandy location outside of the hurricane belt. 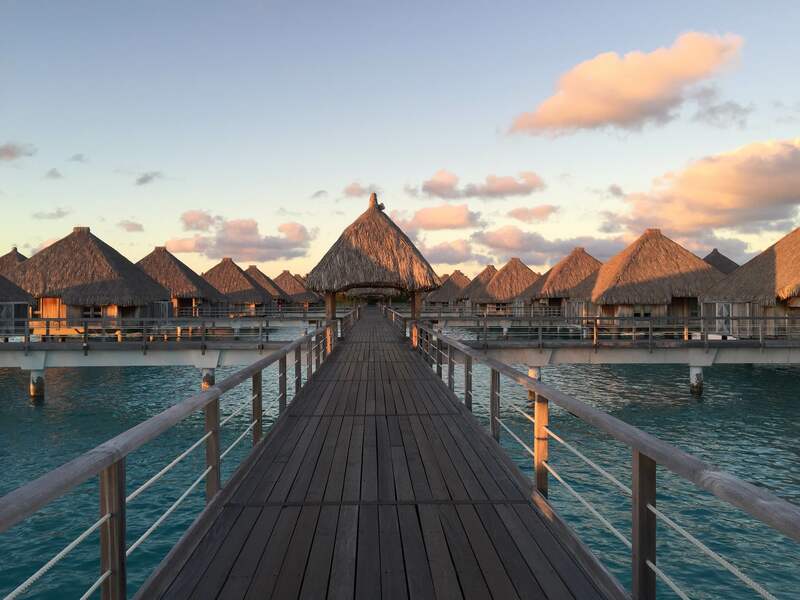 One hot honeymoon destination is Bora Bora. A coral island in the French Polynesia, Bora Bora is an exquisite, volcanic island surrounded by coral reefs. 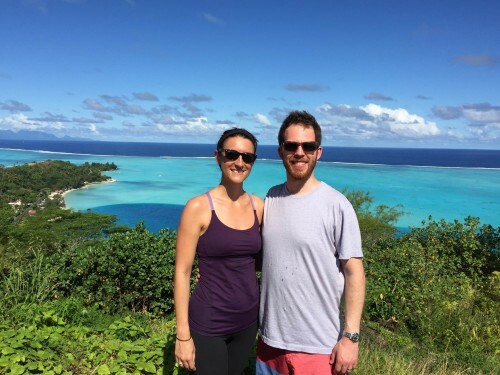 A well-known tourist destination, there are plenty of adventures for you and your spouse to encounter – think snorkeling, swimming and quad touring the mountains – as well as time to relax and enjoy each other’s company and the crystal clear waters. Newlyweds Jennifer Aniston and Justin Theroux spent their honeymoon here – and so did our celebrity clients, Lisa and Henry Swager! Are you and your spouse looking to kick off your marriage with the adventure of a lifetime? From mountains to rivers to ancient runes there are many ways to satisfy your desire to explore. Look into national parks and eco-lodges and plan a guided tour for one of the first days of your trip. Your local tour guide is sure to have better information than any site on the internet, so ask plenty of questions and learn about all that the area has to offer. Then spend the rest of your trip visiting and exploring the spots mentioned. For couples looking for a trip a bit closer to home, a trip out west to Yellowstone National State Park and the Grand Canyon is a great idea. Another adventurous – and tropical – destination choice is Costa Rica. Spend an afternoon zip-lining through the jungle or kayaking a river, then relax on the beach in the evening. If you love the rush of city life and the feeling of being on the go, a city honeymoon is the trip for you. From outdoor markets to museums and a bustling nightlife, there are plenty of cities both near and far that will give you the chance to learn and explore together. Immerse yourself in local culture with reservations at a popular restaurant, a tour around the city and tickets to a local theatre. While Paris has always been the city of love, there are many other options to consider. Barcelona, Spain is one of our favorite choices. Looking for some other ideas? Visit The Knot to see their list of most romantic honeymoon cities. 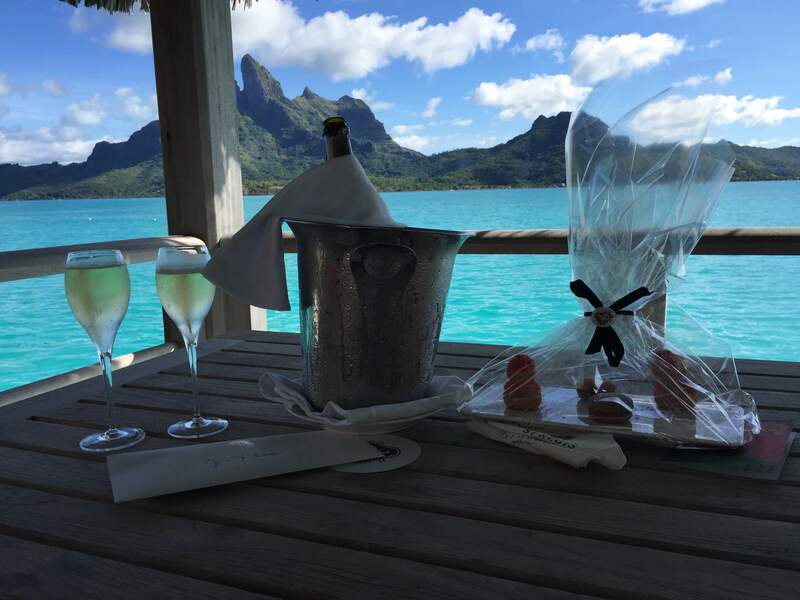 No matter what trip you choose, your honeymoon will provide you with memories that will last a lifetime. Take some time to relax after all the stress of the big day and enjoy the company of your new spouse. How Long Should your Wedding Reception Last? Depending on the location of your wedding ceremony and reception, the receiving line is almost always at the ceremony location. For couples who plan to take pictures after their vows, your guests will probably beat you to the reception. In this case, I recommend having the receiving line right after the ceremony. Kick off the reception and give yourself time to get to the wedding after your photos and enjoy your guests at the cocktail hour. 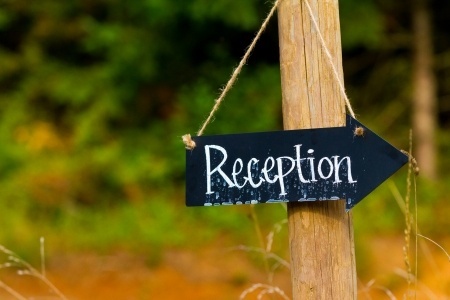 Greet your guests and give them time to mingle while the event staff serves hors d’oeuvres. Once the DJ announces your parents, your wedding party and, of course, your grand entrance, head to the dance floor! This is a beautiful moment to celebrate the beginning of a memorable evening with family and friends. When everyone is seated and the first course has been served, the best man will give the champagne toast, with a response from the groom. Then it’s the maid of honor’s turn, sometimes followed by your parents and other guests. Depending on if you have a buffet meal or sit-down style, dinner will progress differently. The dinner typically will take one hour. Once dinner is over, the dance floor will open up for the celebrations to continue! There are many other traditions that may be incorporated into your wedding, including the parents’ dances, the longevity dance and the throwing of the garter and bouquet. Many families also choose to include customs that celebrate their ethnicity, like the Hora, a Jewish wedding dance, and the kalamatiano, a Greek one. Talk to your significant other about wedding traditions that their family follows and be sure to include some that incorporate both sides of your new family! As a quick rule of thumb, I recommend a reception with four hours of music for up to 75 guest and five hours for 150 guests. For a wedding with 200 guests or more and multiple courses, six hours may be needed. While four or five hours do not sound like a long time, remember what a big day it has been. If the event goes too long, it will seem to drag on. End your big night on a high note! From early hair appointments, to the wedding, photos and more, you’ve been busy. Enjoy the celebrations – they will fly by!